Arthur Johnston, Composer - Sam Coslow, Composer - Wilbur De Paris and Jimmy Witherspoon, MainArtist Copyright : 1957 Atlantic Recording Corp. 1957 Atlantic Recording Corp.
Richard Jones, Composer - Al Cohn, Arranger - Wilbur De Paris and Jimmy Witherspoon, MainArtist Copyright : 1957 Atlantic Recording Corp. 1957 Atlantic Recording Corp.
Jimmy Witherspoon, Writer - Wilbur De Paris and Jimmy Witherspoon, MainArtist Copyright : 1957 Atlantic Recording Corp. 1957 Atlantic Recording Corp. 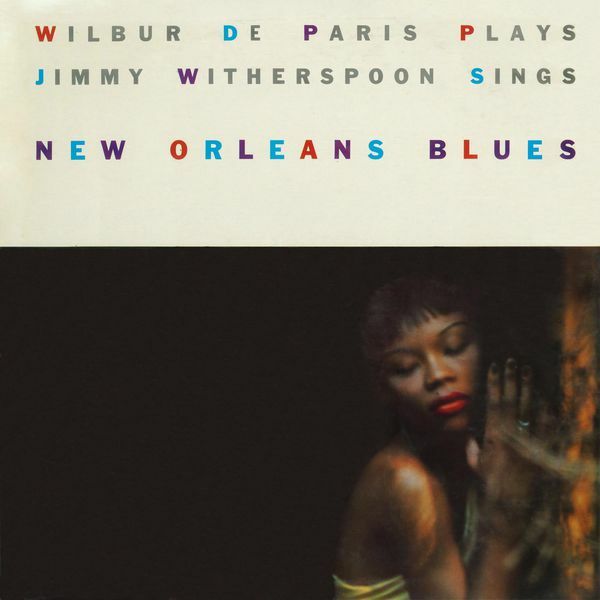 Traditional, Writer - Wilbur De Paris and Jimmy Witherspoon, MainArtist Copyright : 1957 Atlantic Recording Corp. 1957 Atlantic Recording Corp.
M. Koenig, Writer - W.C. Handy, Writer - S. Williams, Writer - Wilbur De Paris and Jimmy Witherspoon, MainArtist Copyright : 1957 Atlantic Recording Corp. 1957 Atlantic Recording Corp.
Clarence Williams, Writer - Wilbur De Paris and Jimmy Witherspoon, MainArtist Copyright : 1957 Atlantic Recording Corp. 1957 Atlantic Recording Corp.
W. C. Handy, Composer - Wilbur De Paris and Jimmy Witherspoon, MainArtist Copyright : 1957 Atlantic Recording Corp. 1957 Atlantic Recording Corp.
Leroy Carr, Writer - Wilbur De Paris and Jimmy Witherspoon, MainArtist Copyright : 1957 Atlantic Recording Corp. 1957 Atlantic Recording Corp.
© 1957 Atlantic Recording Corp.
1957 Atlantic Recording Corp. Marketed by Rhino Entertainment Group, a Warner Music Group Company.